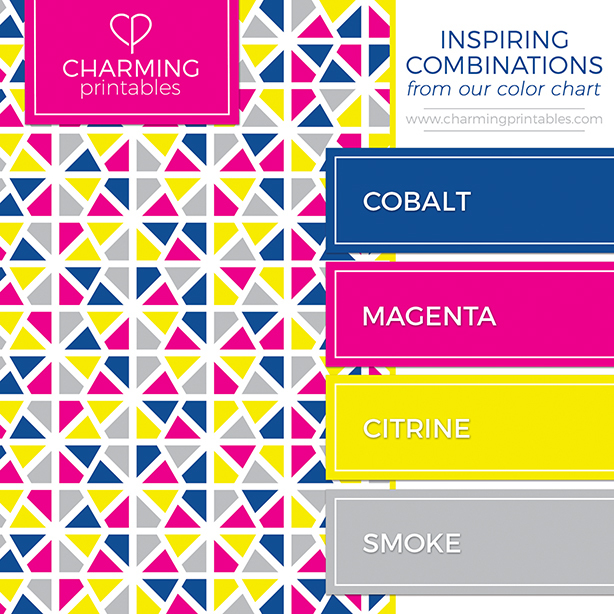 My goal for this combination was to pick colors that would transition well from Summer to Fall – pairing some bright colors like citrine and magenta with richer, cooler colors like cobalt blue and smoke grey. What I was left with almost feels a little “80’s-esque,” but I really love it, especially paired with this fun pattern! How would you pair these colors? With spring officially arriving last week, I am so anxious for warmer weather and sunshine, but also for spring colors! This combination is inspired by spring/Easter colors, but I wanted to change it up some by keeping them from being too pastel. 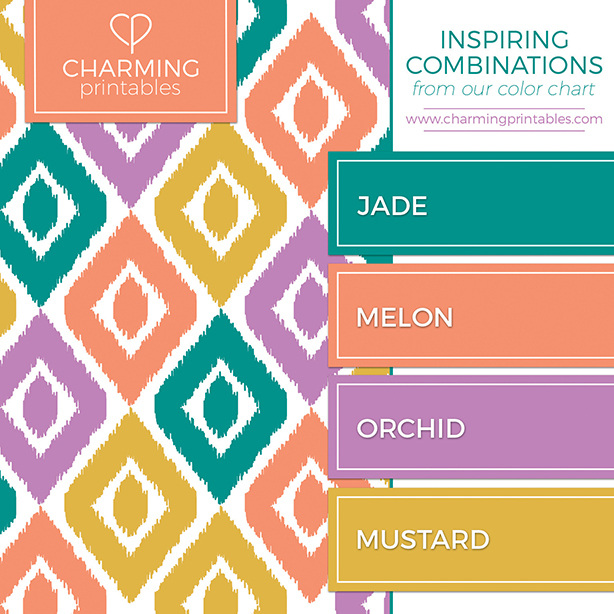 The richer jade green instead of the typical soft blue, and the mustard yellow in place of a pastel yellow really come together beautifully with the darker, but still somewhat pastel melon orange and orchid purple. These colors would be gorgeous for a springtime wedding – I’m picturing jade dresses with flowers and accents in melon, orchid and mustard. Cherry Blossom Charm, six years ago you were so cute, subtle, and and quirky. I liked that you were unique, and held so many possibilities. Sure, I got a lot of questions about who you were, and some interesting looks when I tried to explain, but that was okay, I still loved you. Slowly though, we began to grow apart… I tried giving you a makeover, but the more I tried to make us work, the more I found that we just never seemed to fit. It’s not you, it’s me… I’ve moved on to someone more simple and direct. Someone who fits my needs much better. And so, I say good-bye to you today, Cherry Blossom Charm. Maybe we can still be friends…? 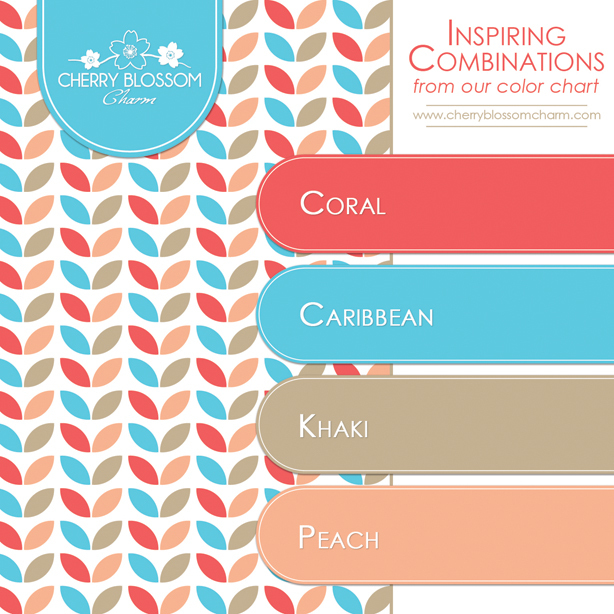 Six years ago this month I took a chance and launched my business, Cherry Blossom Charm. 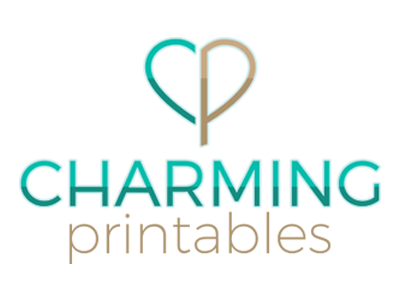 I started out wanting to design a wide range of pretty products and blog, so I came up with a name that didn’t say exactly what I did, and didn’t hold me to one specific product/service. With time, I became more and more interested in designing printables. It offered so much of what I love to do – graphic design, party plan, decorate, and so that became my sole focus. Printables will always be my focus, but I am definitely looking to expand the types of printables I offer, and eventually add an online shop to my website. I am so excited about this “relaunch” and I’m looking forward to all the possibilities to come! March’s birthstone is aquamarine, so for this month’s color combination I started with the Caribbean from my color chart. I love the idea of soft blues or greens mixed with warmer colors like orange or red. 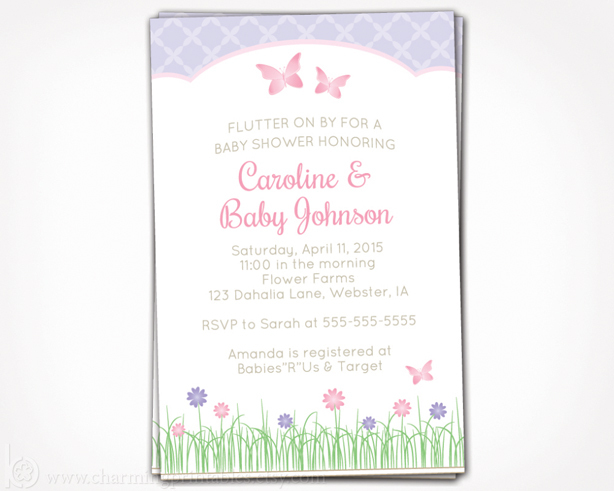 Decided to tweak my very popular garden & butterfly invitation design and offer it for baby showers! The soft, pastel pink and purple colors make this perfect for a Spring garden themed shower for a baby girl. 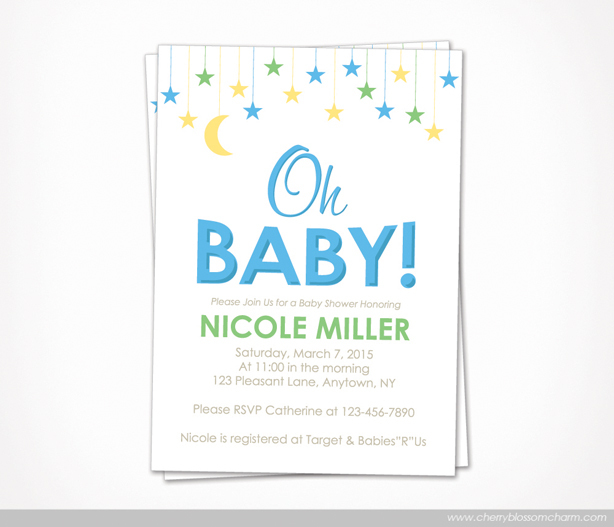 One of my favorite new products is this adorable “Oh Baby” invitation for a gender neutral baby shower! 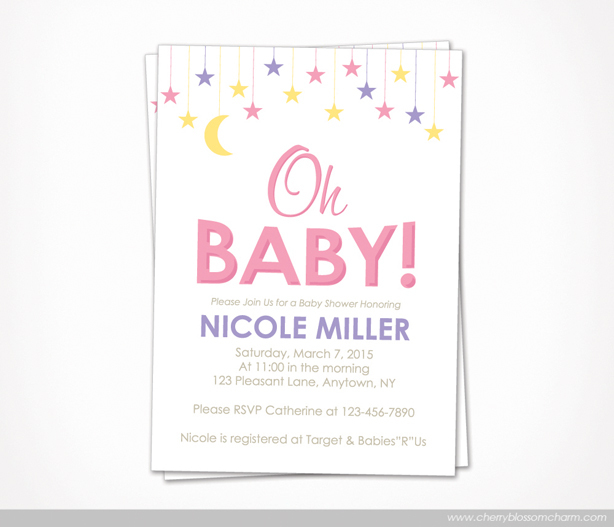 The fun and modern colors and neutral design make it perfect for any baby shower. If you’d like to incorporate some different colors for the baby’s gender, I’m also offering it in a boy and girl version! February’s birthstone is Amethyst, so of course that was the starting point when selecting a color from my chart. 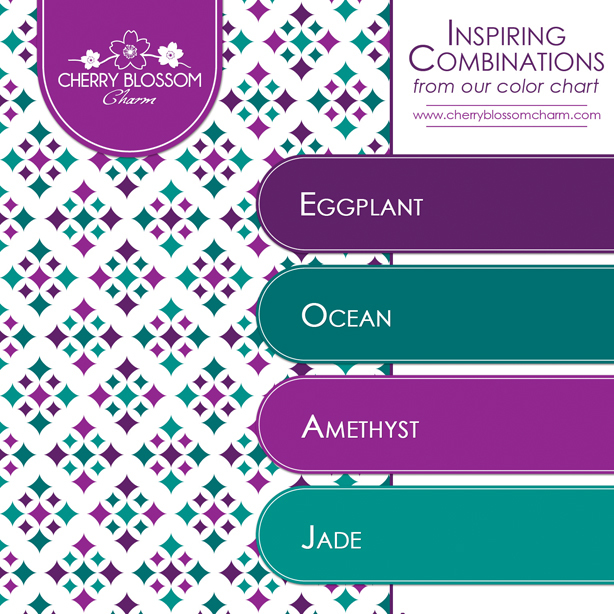 I have always loved the rich elegance of jewel tones, and I think the amethyst pairs perfectly with eggplant, jade, and ocean for this color combination. These colors would be gorgeous for a winter wedding! An updated version of my vintage inspired baby shower printables. I love the soft pinks and creams mixed with the floral and stripe patterns and lace background. This party package is ideal for any mom-to-be expecting a new little lady. Happy 2015! 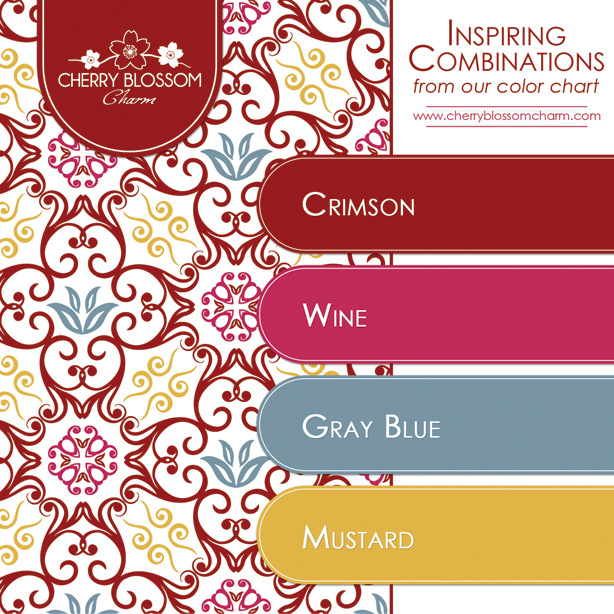 I’m excited to announce that this year’s color combinations will be based on each month’s birthstone!